Except for this recommendation the implementions can continue treating the BMS file as a mostly-ASCII-only format; ・・・ implementations ? 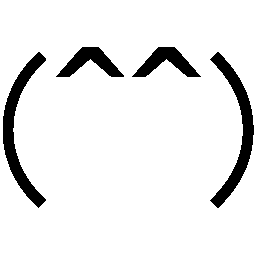 more sophiscated Unicode standards ・・・ sophisticated ? ruv-it! ^^) Maybe it is coped with ? Feedbacks and suggestions are welcomed; see http://mearie.org/about/contact for contact. I dragged and dropped foon_5n.bms to sonorous.exe. And the dialog (“Choose a file to play”) was displayed ... What was `<path>` ... ? [postscript] This was what foolish I misunderstand about quotation marks. rewritten timekeeping routines for accuracy. timekeeping routine is now lag-resistant. // hurray! Are values of #BGA allowed to align by trailing spaces ? オートメーション工場 の μ-law はおそらく “Supported” ? felys の逆凪さん版を普通に再生できたので、8|16|24|32|48 kHz 系列も “Supported” ? Supposing I have installed Rust Edition correctly, this may be a bug of Rust Edition. This bug was already fixed. Probably, the following values will be effective only in my computer. Is #BGA00 equivalent to #BMP00 ? Is referring to “#BMP01” by “#BGAzz 1 ...” possible ? In order to correct this problem, open “ed_place_*_*.bms” by a text editor. Replace from “#BMP0A ed_title2.bmp” to “#BMP10 ed_title2.bmp”. Replace from “#00104:Z5” to “#00104:10”. Is #BGA always displayed more preferentially than #BMP ? open “ed_place_*_*.bms” by a text editor. Replace from “#01704:01” to “#01704:Z6”. Replace from “#02104:02030405060708090A0B0C0D0E0F0G0H0I0J0K0L0M0N0O0P” to “#02104:Z7Z8Z9ZAZBZCZDZEZF0B0C0D0E0F0G0H0I0J0K0L0M0N0O0P”. BMSE No No No No No No ... Y... ??? uBMplay No No No No Yes No ... Y... ??? #BPM, #PLAYER, and #PLAYLEVEL cannot omit a delimiter. #BPM cannot omit a delimiter. Angolmois performs a case-insensitive matching on file names for example and it was platform-dependent in the C version, but in the Rust version it is platform-independent. fixed misleading comments; cleanups; fixed a bug in bms_duration. rustc.exe failed to start because libpthread-2.dll was not found. “Kusofumen Lovers” don't revived yet ? charatbeatHDX v1.00 is coming soon ... ?